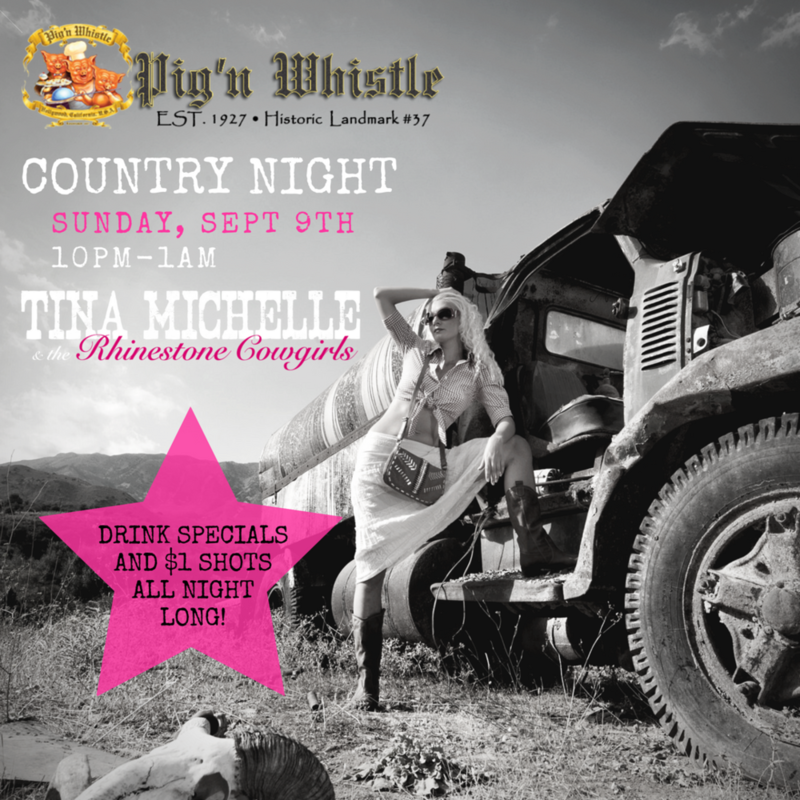 Country Night Debut at Pig 'n Whistle Hollywood! Please join us at Hollywood's newest country night! We'll be at Pig 'n Whistle Hollywood every Sunday from 10pm until 1am, beginning September 9! Line dance instruction by Tina Michelle with DJ Jake spinnin' the top country and line dance hits! No cover, and plenty of drink specials ALL NIGHT LONG, including $1 shots!!! Dancing with Kappa Alpha Theta! Just got finished dancing it up with the awesome Kappa Alpha Theta at Tinhorn Flats Hollywood! This was SUCH a fun mother/daughter party! And we gotta say...these ladies really knew how to dance!! The event was emcee'd by none other than DJ Jake, with Tina Michelle instructing and Dustin and Tessa keeping the dance floor hot! Come join us at Hollywood's newest country night! We'll be at Tinhorn Flats every Wednesday night from 9pm until midnight! Line dance instruction by Tina Michelle with DJ Jake spinnin' the top country and dance hits! No cover! We're on the downstairs level so there's lots of room for dancing!! There's a fully stocked bar wtih drink specials all night and a great food menu, including FRIED PICKLES!!! Parking is behind Tinhorn in the parking structure and Tinhorn will validate your parking. We are excited to announced that the official line dance instructional video for Lindsey Bryant's country song "Get Down & Giddy Up" is now live! We had a blast working with Director Victor Mathieu, and there is sure to be more instructional videos to come! Check it out! The line dance instructional video for "Get Down & Giddy Up" is currently in production! Choreographed to Lindsey Bryant's country hit "Get Down & Giddy Up", the line dance is also called "Get Down & Giddy Up". The video will feature the choreographer Tina Michelle and Rhinestone Cowgirls Tammy and Tori.